Someone's dying to get out of this creepy coffin and you won't want to be around when they do! The creature inside this knocking coffin is looking for an unsuspecting victim to help them get out. Run away and hide while you can! 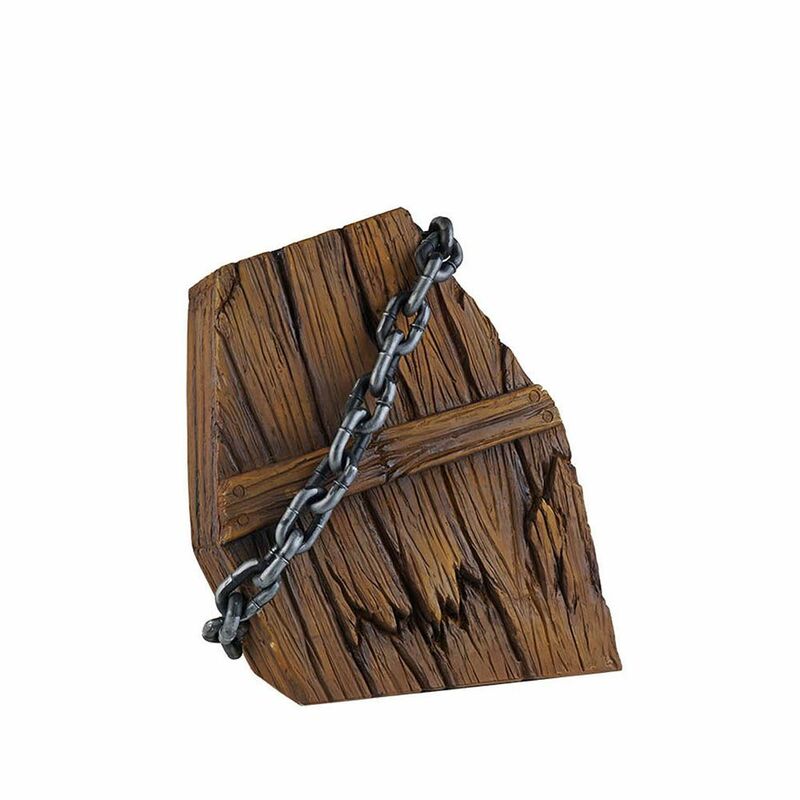 Faux wood finish and plastic chain accent create a weathered look for the Knocking Coffin. 21-inch Knocking Coffin Halloween Decoration Someone's dying to get out of this creepy coffin and you won't want to be around when they do! The creature inside this knocking coffin is looking for an unsuspecting victim to help them get out. Run away and hide while you can! 21-inch Knocking Coffin Halloween Decoration is rated 4.5 out of 5 by 26. Rated 4 out of 5 by BenVideo from Pretty cool Halloween Prop! The knocking motion is enough... Pretty cool Halloween Prop! The knocking motion is enough to make the coffin rock a little bit, if you perch it right. We ended up distressing the exterior down a bit more. We also disconnected the speaker so that it just knocks, which is actually spookier than the included sound effects.